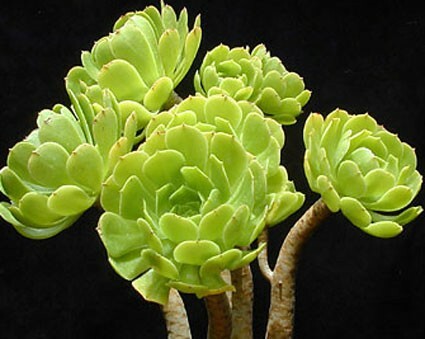 Standard "Canary Island Aeonium." 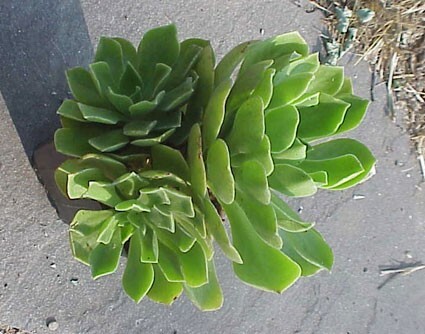 Sometimes called A. decorum or Aeonium arboreum. 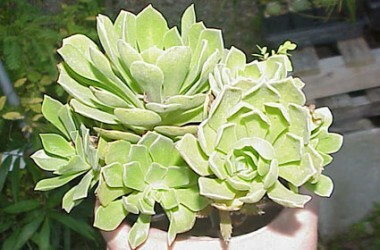 This is an easy grower with a flush of succulent pelted foliage all winter, then a summer rest. 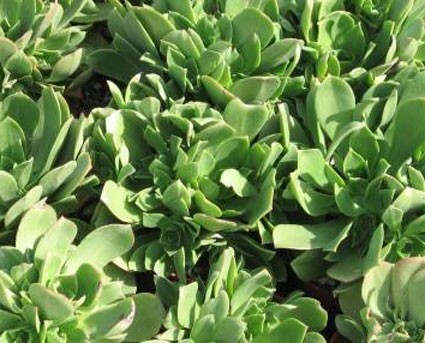 The thickly crouded whorled leaves overlap so tightly that many think this mimics a rose blossom. 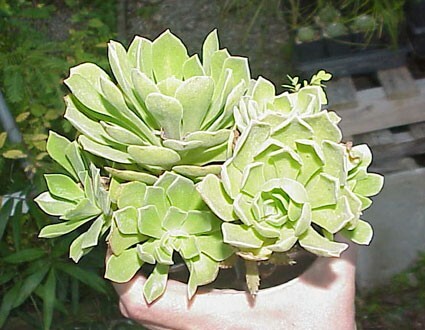 Very easy to grow with good light and moisture during its winter growing spurt.